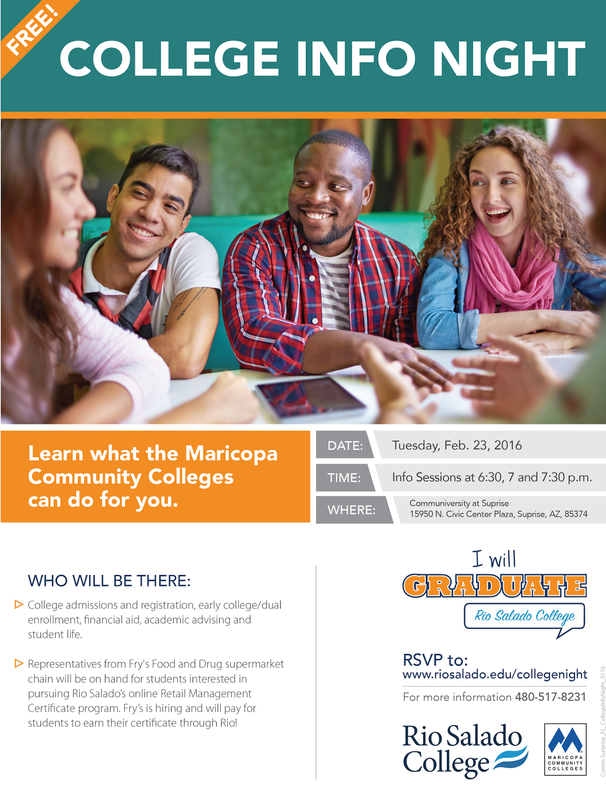 Rio Salado College | RioNews: RSVP Now for Feb. 23, 2016 College Info Night! 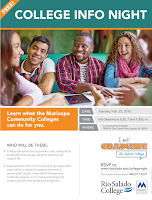 RSVP Now for Feb. 23, 2016 College Info Night! 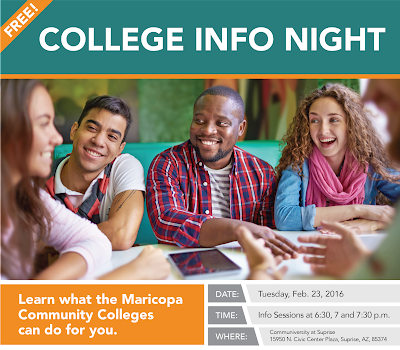 Register now for Rio Salado's College Information Night at the Communiversity at Surprise, February 23, 2016! Representatives from Academic Advising, Admissions and Records, Financial Aid and other departments will be present to provide information about getting started, how to choose a major, how to secure funding... and how to succeed in college. Representatives from Fry's Food Stores will also be on hand for students interested in pursuing Rio Salado’s online Retail Management Certificate program. Fry’s is hiring and will pay for students to earn their certificate through Rio! Let us know you're coming so we can arrange for your information kits and refreshments. Submit your RSVP now online: www.riosalado.edu/collegenight.